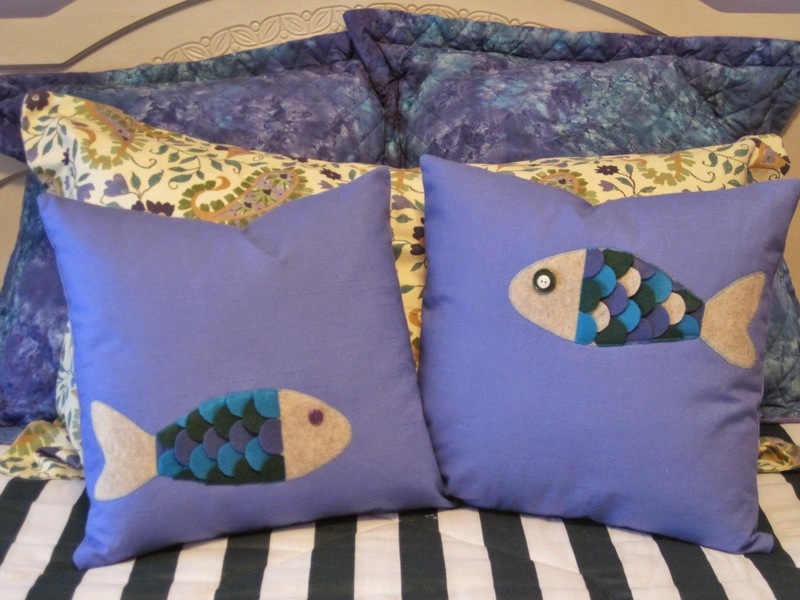 What's more fun than felt fish? 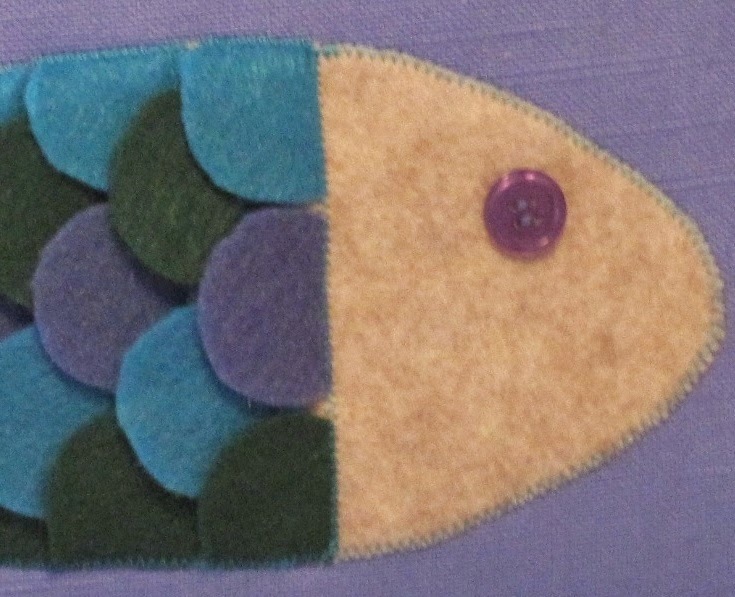 I then decided to try using small felt squares to create the fish scale pattern. 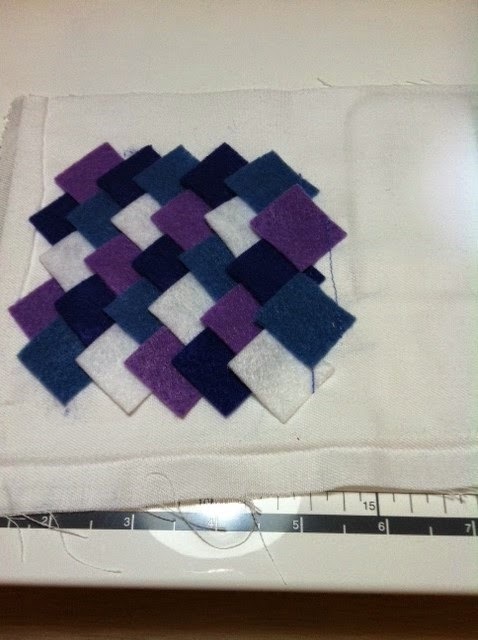 I sewed the tiny squares in an alternating pattern to a piece of muslin. 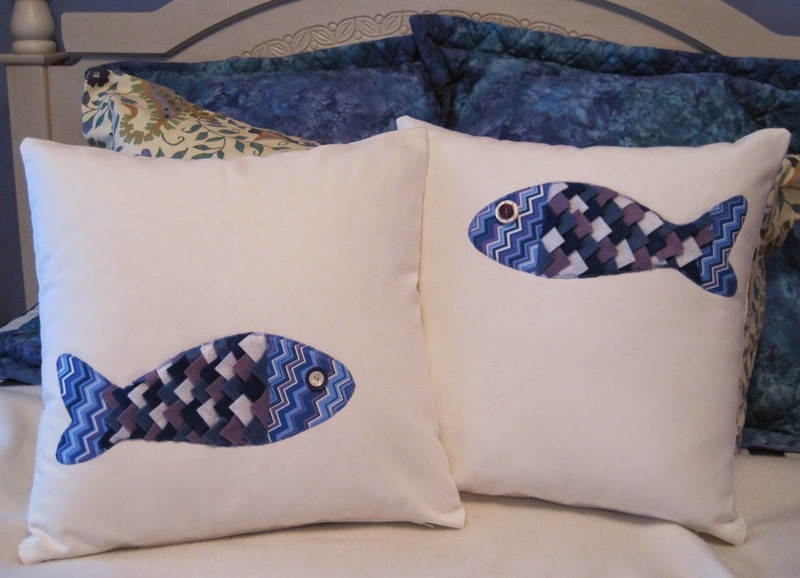 I found this great coordinating chevron-style cotton which I think works really great with the diamond pattern. 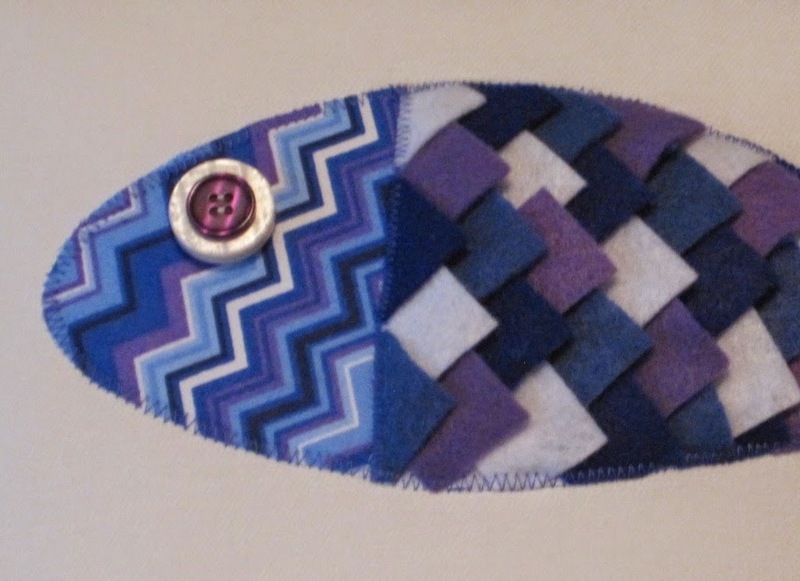 I overlayed the felt square pattern onto the chevron fish and cut the squares the shape of the fish. 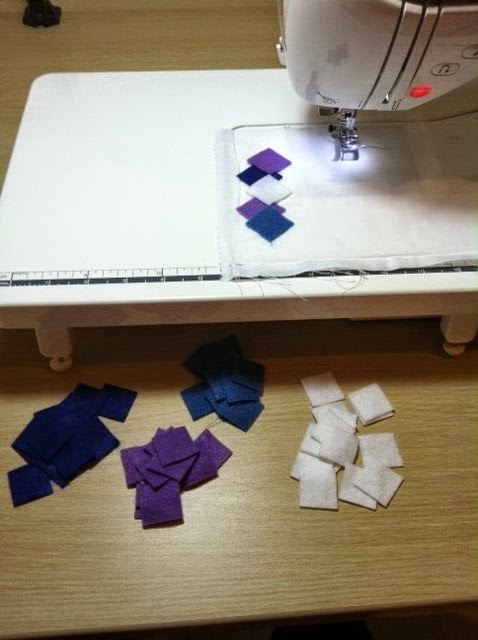 I'm trying some other combinations in citrus colors and I found another great cotton fabric for the fish. Watch for this project coming soon!